Addis Ababa, Ethiopia, 28 November 2017: The Government of Ethiopia formally launched the Comprehensive Refugee Response Framework (CRRF), effectively paving the way for the implementation of the nine pledges it made at the Leaders’ Summit on Refugees in September 2016 in New York. Through the pledges, which serve as a vehicle for implementing the CRRF in the country, Ethiopia seeks to promote refugees’ self-reliance through an improved and sustainable response that combines wider support to host communities, furthering peaceful coexistence and inclusion of refugees into national development plans. In his opening remarks, Ato Solomon Tesfaye, State Minister at the Office of the Prime Minister (OPM) reconfirmed the government’s commitment to a significant shift in the way it responds to the needs of refugees, including a gradual transition from a camp-based protection model to supporting refugee directly within host-communities. 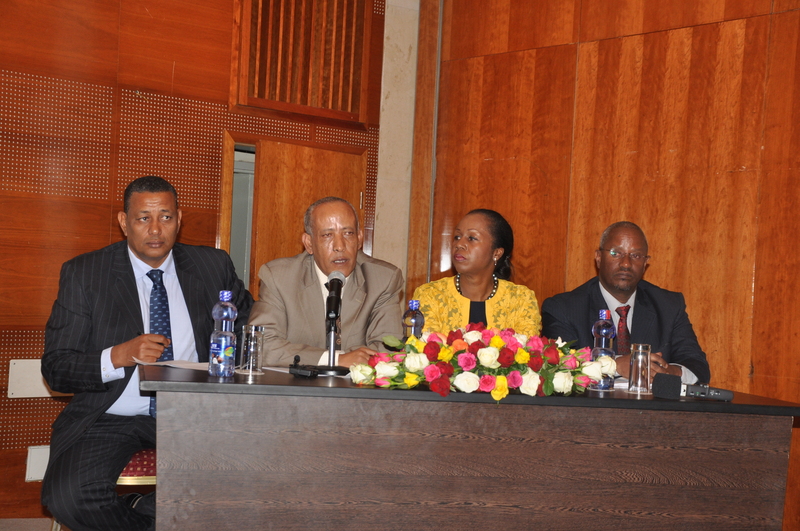 “The Government of Ethiopia, while maintaining its doors open to refugees, envisages to gradually put an end to the encampment policy in the next ten years and progressively advance the out of camp and local integration options”, he said, calling up on the international community “for its renewed firm commitment to maximize its support for the realization of the nine Pledges”. Mr. Daniel Endres, UNHCR’s Director of the CRRF Task Team, said CRRF has already started transforming the lives of refugees in Ethiopia as witnessed by the increase in the overall school enrolment rate of refugees and the issuance of vital documents, including birth certificates to refugee children. “The pledges Ethiopia made and the actions it’s taking today are exemplary and inspire many African States,” he said and added that the country needs to be supported to realize its ambitious objectives. Representing the donor community, H.E. Mr. Michael Rayon, the US Ambassador to Ethiopia, described the launch of the CRRF as a significant milestone and pledged on behalf of the US government and the donor community to support the government and UNHCR in their effort to implement the pledges. 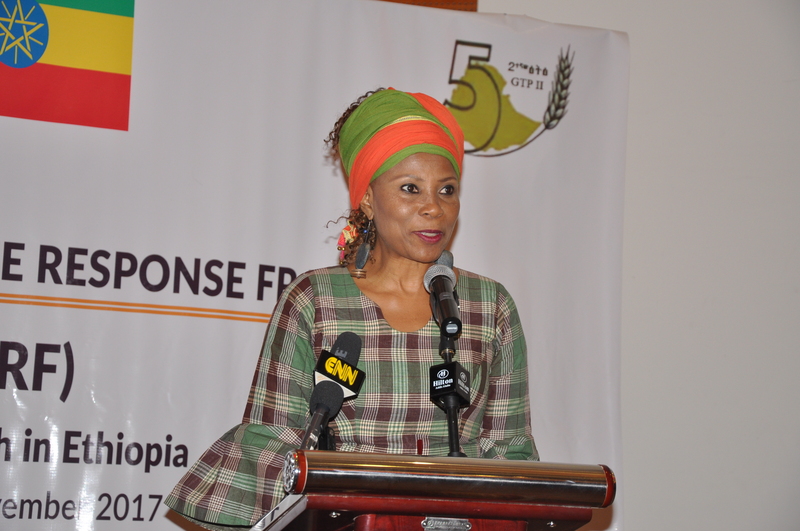 Ms Ahunna Eziakonwa-Onochie, the UN Resident Coordinator in Ethiopia, congratulated the Government and UNHCR for successfully launching the CRRF which serves as a vehicle for implementing the government’s pledges. “Ethiopia’s practical pledges are proof of the fact that generosity has little to do with wealth but it only needs a big heart.” She also pledged support and commitment on behalf of the UN in Ethiopia. Ethiopia is one of the 193 UN Member States that adopted the New York Declaration in September 2016 and pledged to undertake a number of policy measures to transform the lives of refugees including though the expansion of its Out of Camp Policy, issuing work permits and other vital documents to refugees and allowing them to engage in gainful employment, including through job creation in its industrial parks. 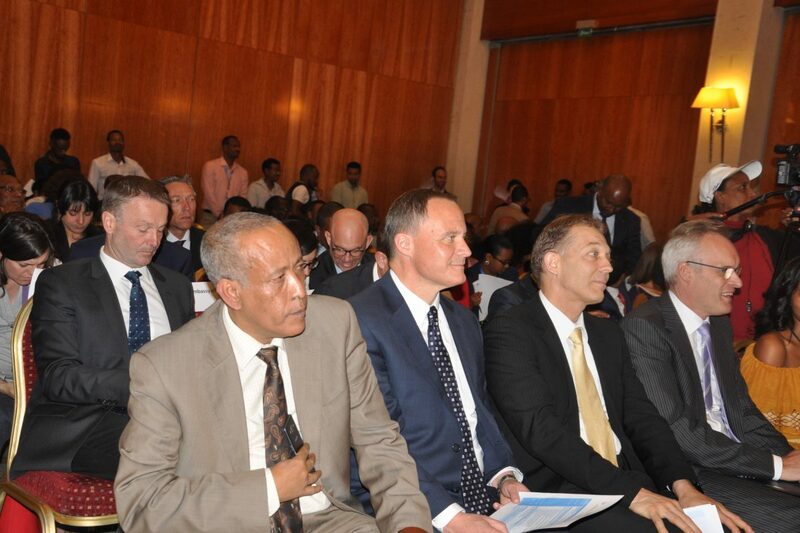 The launch event at the Hilton Hotel in Addis Ababa was attended by representatives of a wide range of stakeholders, including refugees, government line ministries, diplomatic missions, humanitarian and development organizations as well as UN agencies who all voiced support to the initiative and expressed readiness to help Ethiopia and UNHCR and its partners successfully implement the nine pledges. Working under the overall supervision of the Office of the Prime Minister, the government has developed a road map to guide the implementation of the pledges and a Steering Committee set up to oversee the process. The Ministry of Finance and Economic Development and the Administration for Refugee and Returnee Affairs co-chair the Steering Committee together with UNHCR. The Pledges are in line with the 2030 Agenda for Sustainable Development and Ethiopia’s second Growth and Transformation Plan (GTPII). The CRRF was adopted within the framework of the New York Declaration, where endorsing States reaffirm their commitment to the rights and obligations of refugees under international law. Currently, Ethiopia hosts close to a million refugees, mainly from South Sudan, Somalia, Eritrea and Sudan.